Here we are at Bell's again. This marks the fourth offering from the Michigan brewery I've discussed on the blog. Why do I write about it so much? Chalk it up to the following reasons (these are the most easily recognizable causes I can imagine): 1.) Bell's makes so many seasonals that they're easy to find and, therefore, try; 2.) I'm a state removed from the brewery, so their beer is basically everywhere I turn to buy beer (not a bad thing at all, by the way); 3.) I have family in close proximity to Bell's, so I heard a lot about it growing up. Regardless of the reasons, I'm not upset that I get to try so much beer from Bell's. Winter White Ale does, however, receive a distinction that only one other Bell's beer about which I've written has enjoyed: The experience I'm about to describe is the first time I've tried the brew. Going into it, I don't know a lot about Winter White. 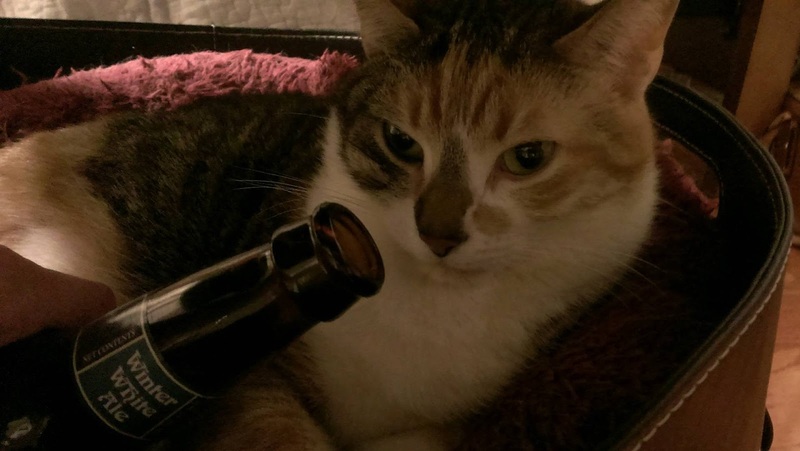 I know that it's a wheat ale. I know that it's ABV is 5%. That's about it. I'm expecting this to be something of a wheaty Belgian white style ale. Seeing as how I've discussed Bell's three times previously, please excuse me from doing so again here. You probably know a bit about them already as they have a reputation that precedes them. Check out their website for any/all information on them you could possibly want. What I will talk about in this post is Bell's' description of Winter White Ale. According to the official webpage for the ale, it's brewed to be stand out amongst the slew of other winter beers (mostly winter warmers). It's fermented with Belgian yeast and, thanks to it's mixture of wheat and barley, it has notes of fruitiness and cloves on the nose. So, my guess for what I'll find was correct? Or, at least, on the right track? I get neither cloves nor fruit from the aroma. I get wheat, pure and simple. It smells like a beer I would expect as a summer seasonal. It's a deliciously creamy scent. Purrl gave it three whiffs and was done. The ale's flavor is a bouquet on the palate. It's flowery and fruity. Definitely Belgian-inspired. There's a touch of corn chips to be found in the finish. It's a light, pleasant flavor. Especially when juxtaposed against the more traditional winter brews I've been drinking. The mouthfeel is creamy and full. It makes each swig feel larger than it actually is. A nice touch, specifically in an ale meant to be enjoyed in the depths of winter. During the January of my freshman year of high school, my then-neck of Ohio experienced a stint of exceptionally warm weather (temperatures were reaching the low-sixties). I was supposed to be studying for my midterms, but the warm weather called me away from that. I found myself outside doing yardwork. In the previous fall, my dad had chopped a large pile of firewood. One day in particular found me piling load after load of the fuel into a wheelbarrow and lugging it down to our outdoor firepit. Once there, I unloaded the wood (so it'd be easer to fetch when we had our bonfires that coming summer) before pushing the wheelbarrow back to the stack of firewood. I worked up enough of a sweat to warrant taking my shirt off. It was January. January. Winter White Ale may be brewed with the purpose of embracing winter, but it's light, fruity flavor calls my mind to warmer memories. 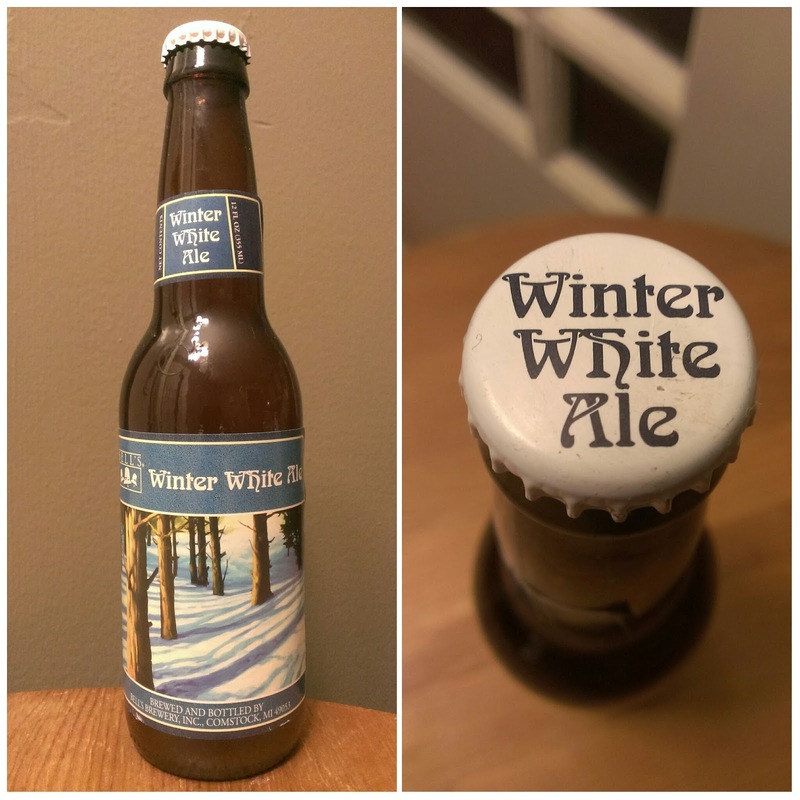 Bell's Brewery, Inc.'s Winter White Ale is thoroughly enjoyable. Is it enough to drag me away from darker, warmer winter beers? Probably not. But it does earn a John Likes Beer rating of 8.5/10. My only suggestion is that you take the time to enjoy it when spring is closer to being right around the corner.